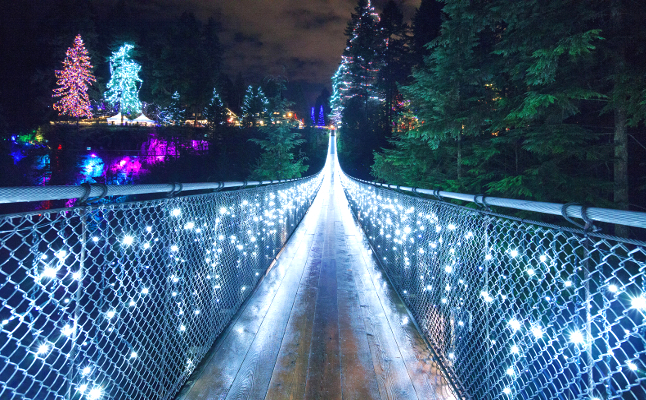 Home to the world’s tallest living Christmas tree (an old Douglas-fir over 200 years old), Capilano Suspension Bridge aims to captivate guests of all ages with its countless twinkling lights and festive holiday cheer, something that has transformed into an annual seasonal tradition on the North Shore. Settled just minutes away from the District of North Vancouver, the lights alone draw over 800,000 visitors a year during the months of November, December and January. Offering a blend of history, native culture and nature, visitors may experience the holiday spirit with breathtaking views and Christmas-themed activities designed to entertain and educate participants. The bridge park was built in 1889 by Scottish engineer and land developer George Grant Mackay. It was originally made of hemp ropes and cedar boards, which were later replaced with a wire cable bridge in 1903. Since then the bridge has undergone various renovations to improve its structure and extend its nature trails even further, which has made it stronger and aesthetically pleasing. The bridge owners invited local natives to place their totem poles in the park in 1935 as an affable gesture. To this day, the First Nations cultural marks may be observed and even photographed at the Totem Park, allowing guests to walk in the footsteps of the Capilano Tramps, who were the early settlers that trekked all the way to the Capilano Suspension Bridge. In addition to the Totem poles, there are First Nations performances, masked dances, and storytelling pieces, acted out in their traditional Regalia. Families are offered a vast array of holiday entertainment throughout the entire park, such as a scavenger hunt for children, gingerbread cookie decorating workshops, making their own Christmas card sessions, and sing-a-long carols taking place in the Christmas band. The art of glass blowing will be shown by Malcolm Macfadyen where visitors might have the opportunity to create their very own glass baubles with professional assistance. 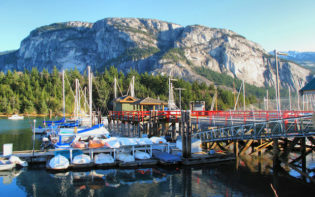 Thrill seekers wishing to explore the natural grounds of British Columbia may be able to enjoy attractions such as the Suspension bridge, Cliffwalk, and Treetops Adventure. Features include diverse flora and fauna, nature footpaths, first-class gardens and rain forest performances, coupled with the historical remnants of the First Nations, allow tourists the impression that history has come to life in the present day. Children are offered separate guided tours of their own such as the Kids’ Rainforest Explorer, Treetops Adventure, and the Living Forest exhibit all add onto the rainforest experience to suit each individual taste. The Winter Pavillion, the newest addition to the park is brimming with treats, warm drinks and festive decorations which illuminate the entire vicinity where snow often sprinkles down on the grounds. Every so often, carollers come by and sing, some even staying to get a taste of the hot cocoa afterwards and chat with others. The “Trading Post” sells clothing, accessories, trinkets, souvenirs, food and drinks, all of which may be shipped to anywhere in the world. 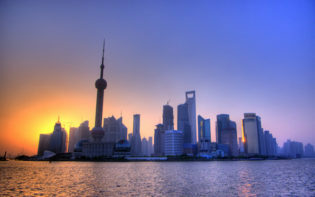 Visitors are also offered guided tours which cover the development of Vancouver and the early history of the bridge, as well as the elements which make the West Coast such a unique environment. The yuletide canvass of shimmering lights might be what the flocks of guests wish to witness this year, while others desire an adrenaline-fuelled tour of adventure and breathtaking scenery, both of which Vancouver offers and more. 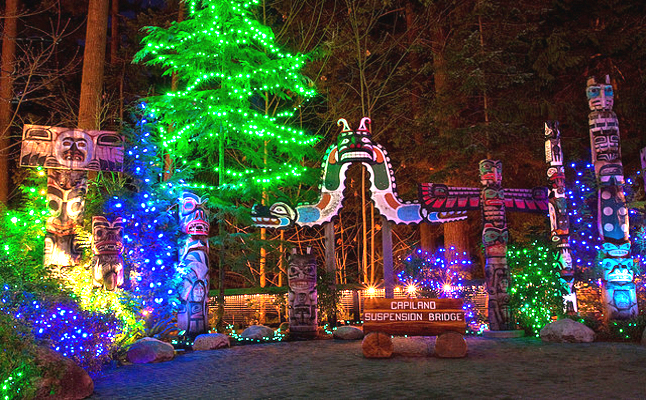 The Capilano Suspension Bridge has created Christmas traditions and celebrated the history of the First Nations, engendering diversity and openness throughout the city as the past is honoured with merry making and generous donations to charity. 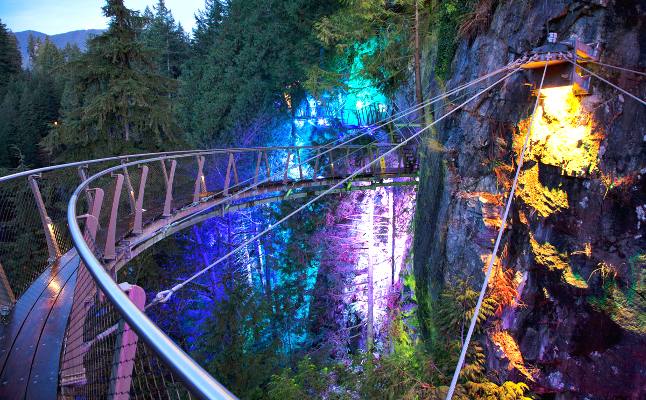 How might the Canyon Lights at Capilano Suspension Bridge offer the ideal winter adventure?